B&O Tech: Native or not? Over the past year or so, I’ve had lots of discussions and interviews with lots of people (customers, installers, and journalists) about Bang & Olufsen’s loudspeakers – BeoLab 90 in particular. One of the questions that comes up when the chat gets more technical is whether our loudspeakers use native sampling rates or sampling rate conversion – and why. So, this posting is an attempt to answer this – even if you’re not as geeky as the people who asked the question in the first place. There are advantages and disadvantages to choosing one of those two strategies – but before we get to talk about some of them, we have to back up and cover some basics about digital audio in general. Feel free to skip this first section if you already know this stuff. An audio signal in real life is a change in air pressure over time. As the pressure increases above the current barometric pressure, the air molecules are squeezed closer together than normal. If those molecules are sitting in your ear canal, then they will push your eardrum inwards. As the pressure decreases, the molecules move further apart, and your eardrum is pulled outwards. This back-and-forth movement of your eardrum starts a chain reaction that ends with an electrical signal in your brain. If we take your head out of the way and replace it with a microphone, then it’s the diaphragm of the mic that moves inwards and outwards instead of your eardrum. This causes a chain reaction that results in a change in electrical voltage over time that is analogous to the movement of the diaphragm. In other words, as the diaphragm moves inwards (because the air pressure is higher), the voltage goes higher. As the diaphragm moves outwards (because the air pressure is lower) the voltage goes lower. So, if you were to plot the change in voltage over time, the shape of the plot would be similar to the change in air pressure over time. That last one is where we’re headed. 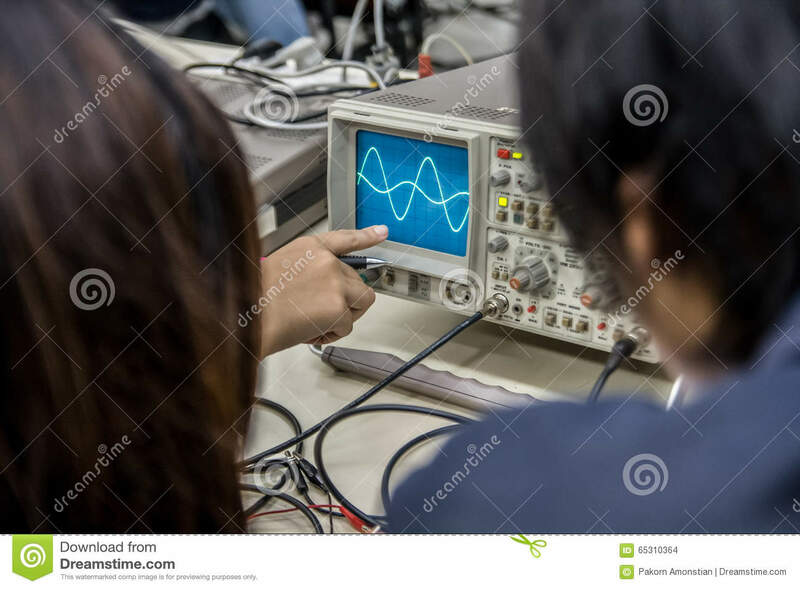 Basically speaking, a continuous, analogue (because it’s analogous to the pressure signal) audio signal is converted into a digital audio signal by making instantaneous measurements of it repeatedly, and very quickly. It’s a little bit like the way a movie works: you move your hand and take a movie – the camera takes a bunch of still photographs in such quick succession that, if you play back the photos quickly, it looks like movement to our slow eyes. Of course, I’m leaving out a bunch of details, but that’s the basic concept. So, a digital audio signal is a series of measurements of an electrical voltage (which was changing over time) that are transmitted or stored as numbers somehow, somewhere. Figure 1: A plot showing the change in voltage over time by an arbitrary signal (which happens to look very much like a sine wave, because you always use sine waves when you’re doing science). Figure 2: A plot showing the same waveform after it has been converted to a digital representation. Notice that it’s the same shape, only the values on the y-axis have changed. Note as well that these values are arbitrary. In this case, I’ve done the conversion such that an analogue signal of 1 V at the input corresponds to a value of 32768 in the digital representation. It doesn’t matter why I picked this scaling. The actual values that I listed there really aren’t important. What is important is the concept that this list of numbers can be used to re-construct the signal. If I take that list and plot them, it would look like Figure 4. So, in order to transmit or store an audio signal that has been converted from an analogue signal into a digital signal, all I need to do is to transmit or store the numbers in the right order. Then, if I want to play them back (say, out of loudspeaker) I just need to convert the numbers back to voltages in the right order at the right rate (just like a movie is played back at the same frame rate that the photos were take in – otherwise you get things moving too fast or too slowly). One last piece of information that you’ll need before we move on is that, in a digital audio system, the audio signal can only contain reliable information below the frequency that is one-half of the “sampling rate” (which is the rate at which you are grabbing those measurements of the voltages – each of those measurements is called a “sample”, since it’s taking an instantaneous sample of the current state of the system). It’s just like taking a blood sample or a water sample – you use it as a measurement of one portion of one thing right now. This means that if you want to record and play back audio up to 20,000 Hz (or 20,000 cycles per second – which is what textbooks say that we can hear) you will need to be making more than 40,000 measurements per second. If we use a CD as an example, the sampling rate is 44,100 samples per second – also known as a sampling rate of 44.1 kHz. This is very fast. Most loudspeakers contain a filter of some kind. Even in the simplest passive two-way loudspeaker, there is very likely a small circuit called a “crossover” that divides the analogue electrical audio signal so that the low frequencies go to the big driver (the woofer) and the higher frequencies go to the little driver (the tweeter). This circuit contains “filters” that have an input and an output – the output is a modified (or filtered) version of the input. For example, in a low-pass filter, the low frequencies are allowed to pass through it, and the higher frequencies are reduced in level (which makes it useful for sending signals to the woofer). It is also possible to filter an audio signal when it is in the digital domain instead. We have the series of numbers (like the one above) and we can send these to a mathematical function which will change the values into other numbers to produce the desired characteristics (like a low-pass filter, for example). Figure 5 shows a very simple low pass filter for digital audio. Let’s think though what will happen when we send a signal through it. If you have a very low frequency, then the current sample goes into the input and heads in two directions. Let’s ignore the top path for now and follow the lower path. The sample goes into a delay and comes out on the other side 1 sample later (in the case of a CD, this is 1/44100-th of a second later). When that sample comes out of the delay, the one that followed it (which is now “now” at the input) meets it at the block on the right with the “+” sign in it. This adds the two samples together and spits out of the result. In other words, the filter above adds the current audio sample to the previous audio sample and delivers the result as the current output. What will this do to the audio signal? If the frequency of the audio signal is very low, then the two samples (the current one, and the previous one) are very similar in level, as can be seen in the plot in Figures 6 and 7, below. This means, basically, that the output of the filter will be very, very similar to the output, just twice as loud (because it’s the signal plus itself). Another way to think of this is that the current sample of the audio signal and the previous sample of the same signal are essentially “in phase” – and any two audio signals that are “in phase” and added together will give you twice the output. That output level keeps dropping as the audio frequency goes up until we hit a frequency where the audio signal’s frequency is exactly one half of the sampling rate. At that “magic point”, the two samples are so far apart (in terms of the audio signal’s waveform) that they have opposite polarity values (because they’re 180 degrees out-of-phase with each other). So, if you add those two samples together, you get no output – because they are equal, but opposite. Figure 6: Portions of three sine waves – one at 10 Hz (red), one at 100 Hz (blue) and one at 22050 Hz (black), sampled at 44.1 kHz. Let’s zoom in on the plot in Figure 6 to see the individual samples. We’ll take a slice of time around the 500-sample mark. This is shown below in Figure 7. Figure 7: a portion of Figure 6, zooming in around the 500-sample mark. Note that the vertical scales of the three plots are different – just to make things more clear visually. As you can see in Figure 7, any two adjacent samples for a low frequency (the red plot) are almost identical. The middle frequency (the blue plot) shows that two adjacent samples are more different than they are for this low frequency. For the “magic frequency” of “sampling rate divided by 2” (in this case, 22050 Hz) two adjacent samples are equal and opposite in polarity. Now that you know this, we are able to “connect the dots” and plot the output levels for the filter in Figure 5 for a range of frequencies from very low to very high. This is shown in Figures 8 and 9, below. Figure 8: A plot of the output level of the filter we’re talking about, as a multiple of the level of its input. Note the output is twice as loud as the input in the low frequency region (hence the “2” on the Y-axis) and that that we have no output (or a level of 0) at 22050 Hz. Figure 9: The same information plotted in Figure 8, shown on a decibel scale. The last point (at 22050 Hz) is not shown because it’s at -infinity dB, so showing this this would require that you buy a bigger screen for your computer. So far, we have been thinking with a fixed sampling rate of 44.1 kHz – just like that which is used for a CD. However, audio recordings that you can buy online are available at different sampling rates – not just 44.1 kHz. So, how does this affect our understanding so far? Well, things don’t change that much – we just have to change gears a little by making our frequency scales vary with sampling rate. So, without using actual examples or numbers, we already know that an audio signal with a low frequency going through the filter above will come out louder than the input. We also know that the higher the frequency, the lower the output until we get to the point where the audio signal’s frequency is one half the sampling rate, where we get no output. This is true, regardless of the sampling rate – the only change is that, by changing the sampling rate, we change the actual frequencies that we’re talking about in the audio signal. So, if the sampling rate is 44.1 kHz, we get no output at 22050 Hz. However, if the sampling rate were 96 kHz, we wouldn’t reach our “no output” frequency until the audio signal gets to 48 kHz (half of 96 kHz). If the sampling rate were 176.4 kHz, we would get something out of our filter up to 88.2 kHz. So, the filter generally behaves the same – we’re just moving the frequency scale around. So, instead of plotting the magnitude response of our filter with respect to the actual frequency of the audio signal out here in the real world, we can plot it with respect to the sampling rate, where we can get all the way up to 0.5 (half of the sampling rate) since this is as high as we’re allowed to go. So, I’ve re-plotted Figures 8 and 9 below using what is called a “normalised frequency” scale – where the frequency of the audio signal is expressed as a fraction of the sampling rate. Figure 8a: The same plot as Figure 8, but shown on a Normalised Frequency scale. Figure 9a: The same plot as Figure 9, but shown on a Normalised Frequency scale. These last sentences are VERY IMPORTANT! So, if you didn’t understand everything I said in the previous 6 paragraphs, go back and read them again. If you still don’t understand it, please email me or put a comment in below, because it means that I didn’t explain it well enough. .. Note that there are two conventions for “normalised frequency” just to confuse everyone. Some people say that it’s “audio frequency relative to the sampling rate” (like I’ve done here). Some other people say that it’s “audio frequency relative to half of the sampling rate”. Now you’ve been warned. In the example above, I made a basic audio filter, and then we looked at its output. Of course, if we’re making a loudspeaker with digital signal processing, we do the opposite. We have a target response that we want at the output, and we build a filter that delivers that result. Fig. 10. A modified version of our first low pass filter shown in Figure 5. Notice that I added a multiplier on the output of the delay block. This means that if the frequency is low, I’ll add the current sample to half the value of the previous one, so I’ll get a maximum output of 1.5 times the input (instead of 2 like we had before). When we get to one half the sampling rate, we won’t cancel completely, so the high end won’t drop off as much. The resulting magnitude response is shown in Figures 11 and 12, below. Figure 11: The magnitude response, plotted on a Normalised Frequency scale, of the filter shown in Figure 10. Figure 12: The same information as is shown in Figure 11, on a decibel scale. If we change one of these three things, the magnitude response of the filter will change. This means that, if we want to change one of these things and keep the magnitude response, we’ll have to change at least one of the other things. For example, if we want to change the sampling rate, but keep the design of the filter, in order to get the same sampling rate, we’re going to have to change the coefficients. Again, those last two paragraphs were important… Read’em again if you didn’t get it. Let’s now take this information into the real world. This is why (for now, at least) when you switch between “Narrow” and “Wide” mode, there is a small “break” in the audio signal to give the processor time to load all the coefficients and get the signal going again. One sneaky thing in the design of the system is that, internally, the processor is always running at the same sampling rate. So, if you have a source that is playing back audio files from your hard drive, one of them ripped from a CD (and therefore at 44.1 kHz) and the next one from www.theflybynighthighresaudiodownloadcompany.com (at 192 kHz), internally at the DSP, the BeoLab 90 will not change. So, instead of storing a complete set of coefficients for each possible sampling rate – and loading a new set into the processor every time you switch to the next track (which, if you’re like my kids, happens after listening to the current song for no more than 5 seconds…) we keep the internal sampling rate constant. There is a price to pay for this – we have to ensure that the conversion from the sampling rate of the source to the internal sampling rate of the BeoLab 90 is NOT the weakest link in the chain. This is why we chose a particular component (specifically the Texas Instruments SRC4392 – which is a chip that you can buy at your local sampling rate converter store) to do the job. It has very good specifications with respect to passband ripple, signal-to-noise ratio, and distortion to ensure that the conversion is clean. One cost of this choice was that its highest input sampling rate is 216 kHz – which is not as high as the “DXD” standard for audio (which runs at 384 kHz). So, in the development meetings for BeoLab 90, we decided three things that are linked to each other. we would maintain a fixed internal sampling rate for the DSP, ADC’s and DAC’s. This meant that we would need a very good sampling rate converter for the digital inputs. The choice of component for #2 meant that BeoLab 90’s hardware does not support DXD at its digital inputs. For your readership, whatever it is, you might want to further refer to other authoritative primer-type lay-oriented material, e.g. Bob Adams in Audio Critic and Monty Montgomery’s wonderful youtube tutorials online. Will see if I can find links. The latter are especially clear and enlightening. Thanks for the recommendations! The links would be great. no news here for you, but clear exposition and with some wit. Adams (like Mark Davis, whose phased-array beamforming work I sent you prior) worked at dbx all through the 1980s, pioneering low-bit and sigma-delta designs, before concocting asynch converters at AD. A heady environment, especially for a lay writer. you write that the highest input sampling rate of the SRC4392 is 216 kHz. Just wondering how this came about – why not the common 192 kHz? What are the ‘spare’ 24 kHz for? (If you happen to know). Did I really overlook something? You described that – for obvious reasons – the conversion rate used in the BL90 is fixed. But I did not see anywhere which fixed rate is used. Not that I think, that it will matter, when listening – you probably have chosen, what works best anyway. The processing in the BL90 is running at 192 kHz to match the ADC’s and DAC’s. Sorry – I left out that piece of information.